Fighting a battle with acne? Suffering from unwanted signs of aging? Fortunately, there are high frequency machines for that! They are quite popular in salons and regarded as one of the most minimally invasive and safe treatment for fighting acne, reduce wrinkles and skin tightening. High frequency machines make use of safe low alternating currents at high frequency to promote cell renewal, enhance blood flow, removes dead cells and eliminate bacteria’s causing acne. Together, these effects help aid in developing collagen and elastin, contribute to a vibrant, healthy glow, and promotes greater absorption of skin care products. Collagen and elastin are vital to keeping s﻿﻿﻿kin firm and elastic and preventing the appearance of creases or wrinkles. Not to mention, better absorption means that skin products can work more effectively on cleansing your skin, and you’ll be acne-free in no time! What is a High Frequency Machine? How Does High Frequency Facial Work? Clearly these modern anti-aging ﻿g﻿﻿adgets are great for keeping your face young and radiant! Introducing the new Lift Wand ! This versatile device is perfect for anyone who is likely to drop and break their lovely new high frequency machine. That’s because this one has a base made of rubber and comes in a padded box, perfect for storage. Besides the Lift Wand, this product comes with 4 extra electrodes to keep you supplied for months as well as natural Argan oil to keep your face moisturized and healthy. The 2-step treatment suggests using Argan oil prior to the high frequency machine. First apply the Argan oil to soften and heal the skin and then use the lift wand to generate bacteria killing oxygen. Besides fighting acne, it reduces wrinkles, scars, blemishes and achieve a tight toned skin. Furthermore this machine comes with an instructional video so that you don’t feel overwhelmed with your new high frequency machine for acne. Recommended usage is 15 minutes every day till desired results. The new Lift Wand is also more powerful than many other models currently available, and is perfect for those with stubborn acne or deep wrinkles. If you like to pamper yourself, you’ll love the popular Dermawand kit with its preface treatment. Your face will look younger after using this model of high frequency machines. That’s because, paired with the pre-face treatment, this is one of the most effective models available! The Dermawand uses radio frequency technology to keep your face firm and looking young while also reducing the appearance and occurrence of acne. It works well to reduce wrinkle and fine facial lines for an even toned smoother skin. This model is also great for reducing the size of large pores and getting rid of creases and tucks specially near your eyes. Your eyebrows will appear lifted and pore sizes reduced. It can be used on your neck, arms, legs and chest. This machine has been clinically proven to lead to successful results. This device does not have any electrodes like common high frequency machines but works using the same principles. They deliver a low level current at high frequency to your skin along with enriched oxygen molecules. That means you can rest assured that your skin will glow after regular use. The manufacturer recommend to use it just 3 minutes every morning and evening for visible results. Use with the pre-face treatment cream that comes along with he kit. They have a full kit of skin care creams called Dermavital that works well with your Dermawand. Dermawand with its preface treatment is one of the best-selling radio frequency facial wands on the market. Check this video to see how it works. Younger firmer skin with just 3 minutes use twice daily. Get ready for clear, smooth skin with the High Frequency Machine by Signstek. This machine dries out the skin of unnecessary oils to prevent future acne, but also fights current acne. It does this by increase the flow of sebum and causing slight usually undetectable sweating. If you want a porcelain face, this machine can help to kill off bacteria in your skin with potential of forming acne. It makes a great treatment for women with sensitive skin because this high frequency machine definitely won’t irritate your face or body. But, aside from its use to keep your face clear of acne, this high frequency machine is effective in shrinking wrinkles. This is because it encourage collagen and elastin to form under the skin, materials which keep your skin from sagging. It comes with four electrodes in standard shapes to treat your face and body. You’ll be acne free and notice diminished wrinkles after weeks of using the Project E-Beauty, making it one of the best professional high frequency machine for acne. Though this model is dermatologist-quality, it is the perfect tool for your own daily facial clean routine at home! One way this model helps to eliminate acne is by promoting the flow of lymphs through the blood to the acne. 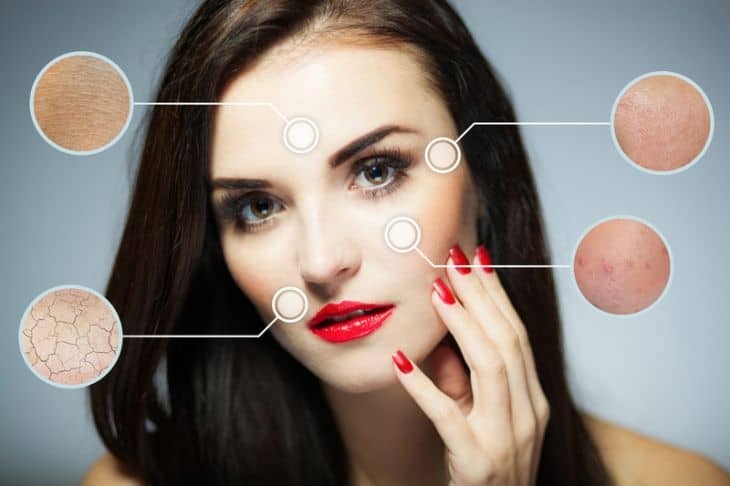 Since acne stems from bacteria, an increase in the flow of lymph means your body is more efficient in killing of that bacteria and clearing your face of visible blemishes. The Project E-Beauty made it into our top 5 high frequency machines picks due to its effectiveness. It comes with 4 electrodes in standard shapes for effective use all over the body. 5-10 minutes a day with this device is your key to naturally smooth skin​. You will absolutely see results within the first few weeks of use (if you use it regularly, that is)! If you’re looking forward to a gentle, all-over treatment—body included—you might consider checking out this model. The NEW SPA professional grade D'arsonval facial device is designed with your face and body in mind. That’s fantastic to anyone prone to body acne because not every model is suitable for use on the body. The NEW SPA boasts that this model is entirely painless to use. Like many others, this device can be used to treat the scalp, dark eye circles, wrinkles and reduction of cellulite. By using the machine on your scalp, you can increase blood flow and help pH production. Doing so can help to prevent hair loss and dandruff! This one comes with 7 electrodes in different shapes, so you’re set for a while! Professional high frequency machines have been used by the skin care experts for quite some time and only now they are available for home use. These devices have been born out of the findings of Jacques D’ Arsonval who is credited as the founder of electrotherapy. He found that high frequency alternating currents had beneficial effects to the body. High frequency refers to radio waves between 3 to 30 MHz. These healing properties were used to design beauty wands by salons and is widely regarded as one of the top non-invasive, painless treatments for acne, skin rejuvenation, wrinkles and even hair growth. A high frequency machine consists of a handheld wand device that comes with gas filled glass electrodes of varying shapes that can be used on face or body. Neon and Argon gas is commonly used for the electrodes. The high frequency electrode is inserted to the device and the machine is turned on to generate a mild low-level alternating current. The current is passed to the body through the electrode when its tip comes in contact with the skin. The high frequency electromagnetic waves are absorbed by skin tissues causing them to vibrate and get heated. This heat breaks down and removes problem cells and toxins which are causing skin problems like acne. It also improves blood circulation and increase the production of collagen and elastin that improves sagging skin, remove wrinkles and reduce pores. Upon contact the gas ignites and lights up the glass electrode to act like a glow discharge tube. During this it also converts some of the oxygen in the air to produce purifying ozone molecules. These rejuvenating oxygen molecules provide deep anti-bacterial action that fights acne. These devices are safe to use on whole body and is painless. You will experience a zap when it comes in contact with your skin. But with some practice you can use it easily without much discomfort. Reduce and Prevent Acne – The high frequency machines are very good for reducing acne and to reduce their onset with regular sessions. The oxygen molecules produced during the treatment kills acne causing bacteria’s and removes them from your skin. The high frequency facial also improves the penetration and absorption of acne lotions and creams that further prevents acne from forming. You can get noticeable results with a few weeks regular usage. Reduce Pores - It also works well for reducing size of your pores, eliminating blemishes and blackheads. Anti-aging effects- The high frequency wands improve blood circulation and also boost production of collagen and elastin. The effects are reduction in wrinkles, fine lines, tightened skin and even skin tone. As a result your get a younger, firmer and more radiant complexion. You can get even smoother and firmer skin by using cellulite reduction creams which will be absorbed better. Reduce Dark Eye Circles- You can get rid of dark eye circles or puffy eyes with the use of high frequency machines that improve the blood circulation. The improved circulation helps in fading away the dark eye lines for younger look. Using eye creams along with the treatment will give even better reduction. Hair Growth- These devices improve blood circulation in your scalp and when used along with growth serums can stimulate proper hair growth. The comb shaped electrode heads are used on the scalp. If you’re looking for a good high frequency machine for you, consider these important features and what purpose you want it to serve. 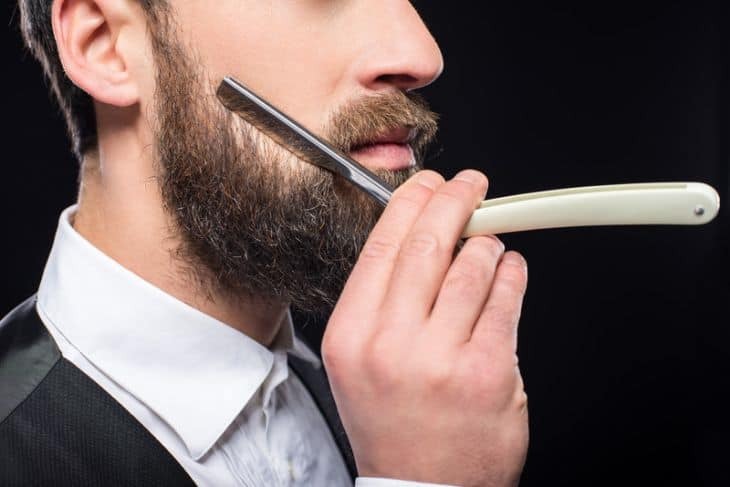 Design- Most of these devices come in the shape of a handheld wand with electrode attachments but there are some new device types that works without the electrodes. Portable- Home use devices should be compact, portable and easy to use. Electrode Shapes- The electrode attachments comes in different shapes and heads to match your body contours. Mushroom or spoon shaped heads are used for face and body areas while pointed types are useful for eyes or targeted regions. Comb type designs are used for scalp and hair treatments. Power- These devices work on plugin power and they have low wattage of around 10 watts. Low wattage devices with high frequency is recommended for longer product life. Are you trying to clean up your acne? Do you want to reduce the visibility of creases or sogginess? Do you intend to use the device on your body as well as your face? Will the device work for my skin type? Do not use the facial machine if you suffer from rosacea or have severe skin issues without consulting your dermatologist. Do not use if you have a pacemaker or other electrical device and consult your doctor if you are not sure. Ensure the electrodes and your skin is fully dry before using the wand. Make sure the intensity setting is at the lowest before turning on the device. Insert the chosen electrode into the machine and ensure it fits properly. Always make contact with your finger and electrode before applying on the skin. Remove the finger once the electrode comes in contact with your skin. Switch on the device and choose a comfortable intensity setting. Move the electrode in circular upward motions covering each regions of your face. Start with forehead and then glide it over nose ,chin and cheek areas by maintaining continuous contact. Do not hold it over same are for more than 10 seconds at a time. You can use a cloth or gauze on your face for smooth action. Use the device for recommended time period specified by the manufacturer, usually around 5 to 10 minutes. Finally before lifting the electrode, place the finger back and remove it from the skin. Clean and sterilize the electrodes with alcohol or water as instructed in the device manual. Check below video to learn how to use a high frequency device. So, which of these devices is ultimately the best high frequency machine? All devices reviewed here works well for most people. So choose one depending on your need and budget. Our favorite pick is the Lift Wand as it offer an affordable and complete treatment necessary to clear your skin while maintaining a healthy, moisturized glow. Dermawand is also right behind due to its immense popularity and innovation. I have been wanting to try one of these devices for a while but because of the price, I just been putting it off. I just wanted to say thank you for all this information. It has made it super easy to actually read everything on one page about multiple devices and decide on one to try. I have an Amazon gift card and Prime so I will be getting mine on there tomorrow!